Civil War Unit Ready to Pilot! We have just finished with our third round of revisions to the unit, and we will revise it once again after 8th-grade teachers field test it in their classes this spring. Would you like to field-test the History Blueprint Civil War unit? If you are an 8th-grade teacher and you would like to pilot the Civil War unit this spring, please feel free to download the materials and use them in your classroom. The first 100 teachers who sign up to pilot the Civil War unit and complete these 3 steps will receive a gift card. At this point, we can only offer gift cards to California teachers, but all teachers are welcome to use the curriculum. 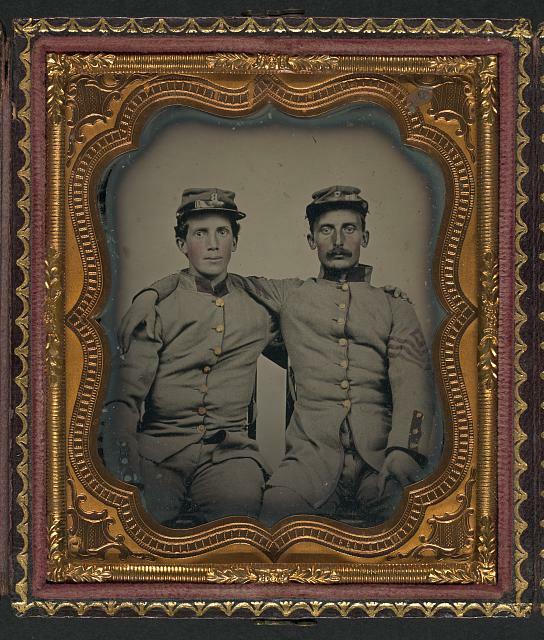 The CHSSP will be offering an online program introducing and explaining the Civil War unit. The program will include a lecture by a Civil War historian, an overview of the unit’s themes and standards, and explanations of how to teach the individual lessons. We anticipate that this program will be available online before March 1, 2012. Your CHSSP site (at UC Berkeley, UC Davis, CSU Long Beach, etc.) may also be offering Civil War program events. The survey form is not ready yet, but I will notify you when it is available online. I will send you directions on mailing in your student surveys and student work samples later as well. To sign up for piloting the unit, please email me at slhutton@ucdavis.edu. If you have any questions or concerns, please contact me at slhutton@ucdavis.edu, or at 530-752-0543. On Tuesdays or Thursdays, please call 530-752-0572.